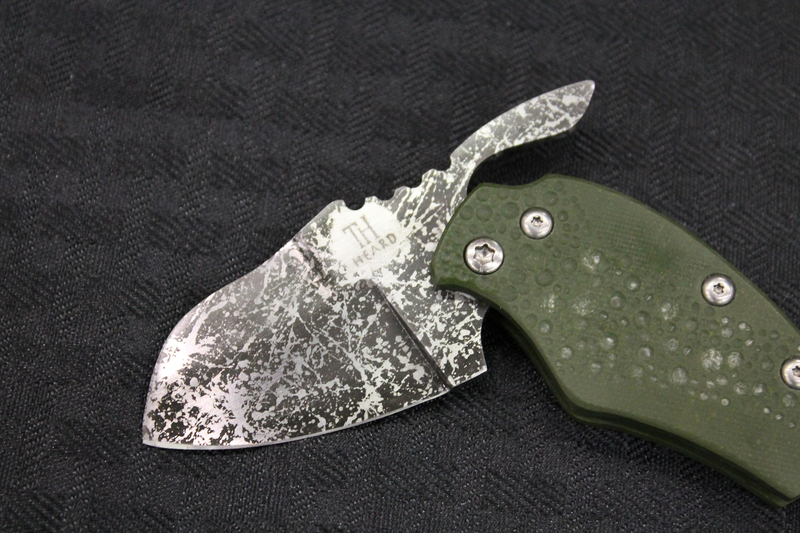 Turning Point Knives had some real eye-catching knives at the Blade Show. Custom knifemaker Tom Heard acid etches 1095 carbon steel in interesting patterns for these small friction folders he calls the Chili Pepper. 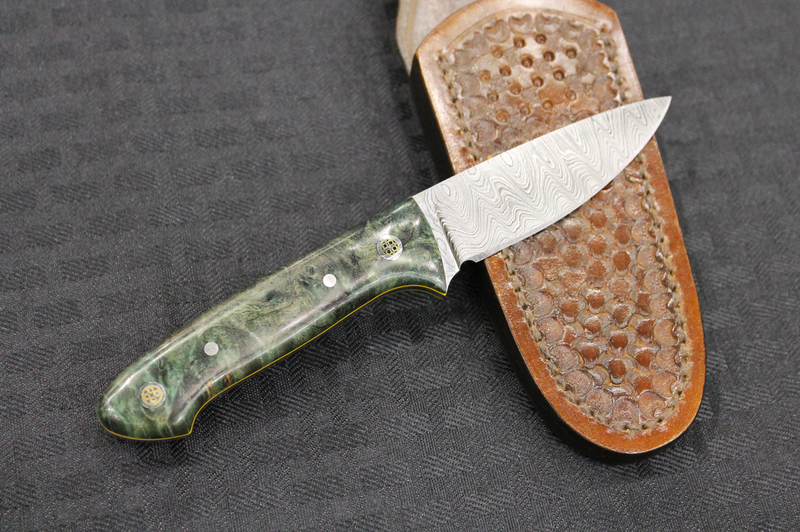 Since each design is done by hand, Mr. Heard makes you a knife that is truly one of a kind. I was impressed with the time it must take to hand apply the acid etch and come up with the near 3D images. Believe me, they looked better than my photos show. 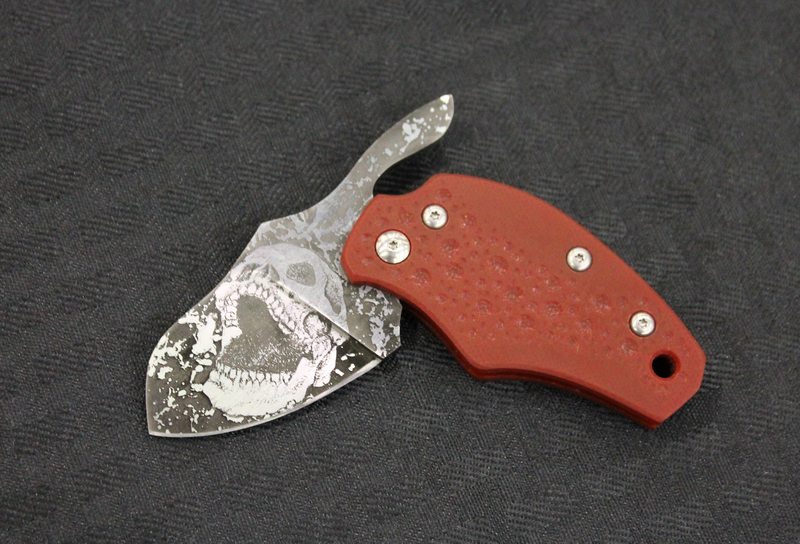 The Chili Pepper has a 2″ blade and either G10 or Micarta handle slabs. 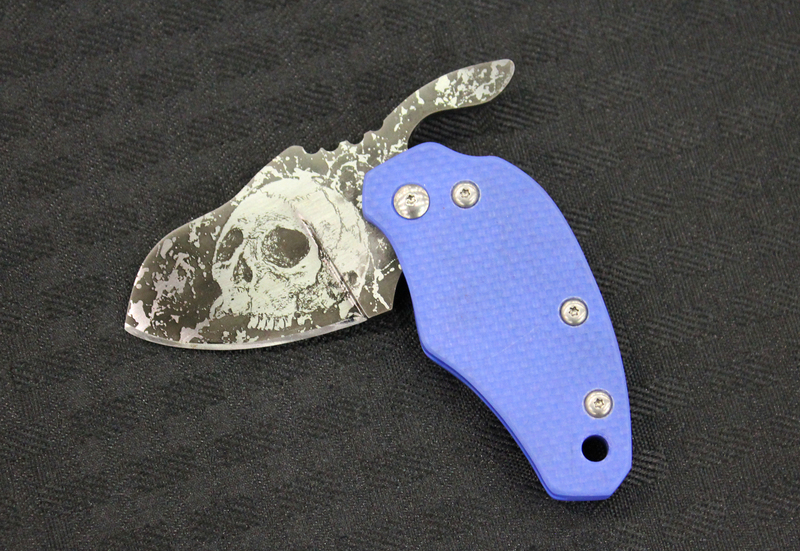 They come in a variety of blade shapes and handle colors. 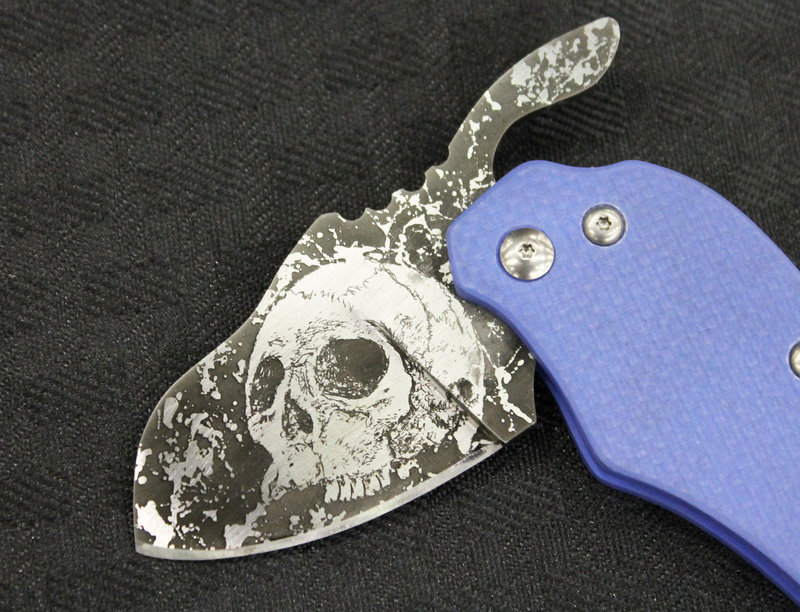 A random etched pattern will cost about $150.00, the skull patterns around $300.00. Aside from the friction folders, Mr. Heard also had some nice damascus hunters, liner lock folders, and neck knives on his table. I enjoyed talking to Mr. Heard. We worked in the same professional field. He gives first responder discounts.